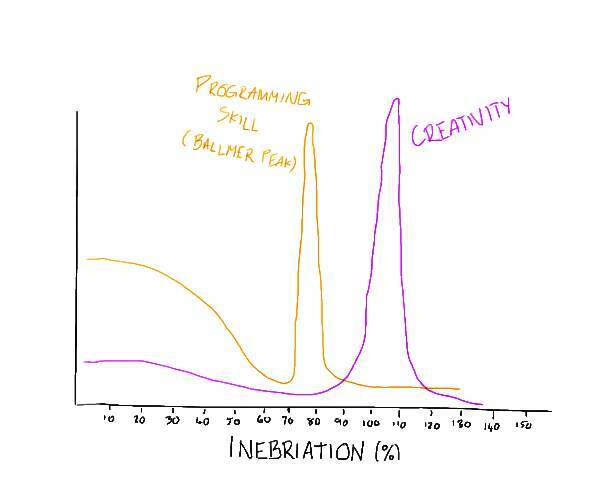 I find after just half a beer or glass of wine, motivation and creativity drops like Leeman Brothers stocks. 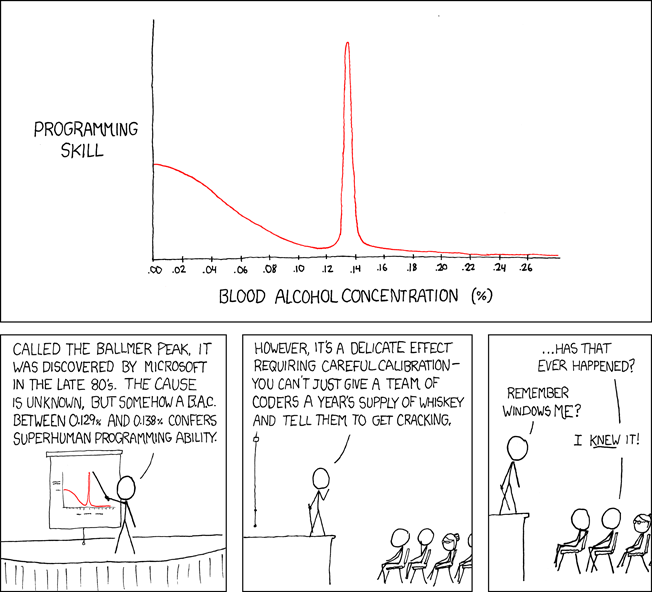 I seriously hope this is a joke, or I have a "Ballmer Peak" deficiency. This whole article fails for not including the alt text when inserting XKCD.